A proposal to allow teams from Oceania to compete in the Asian Games has been welcomed by Australia, while it has also been revealed that African countries have made a request to be able to participate in some events. The 17 countries that make up the Oceania National Olympic Committees (ONOC) had already been invited to take part in the 2017 Asian Indoor and Martial Arts Games in Ashgabat, Turkmenistan. Now the Olympic Council of Asia (OCA) President Sheikh Ahmad Al-Fahad Al-Sabah has raised the prospect of them taking part in more events, including the Asian Beach Games and Asian Winter Games, and one day the Asian Games themselves. 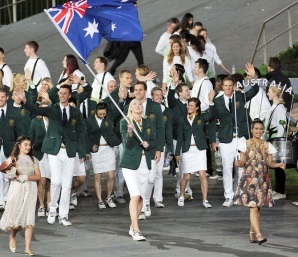 "We would definitely be interested in competing in the Asian Games," Australian Olympic Committee (AOC) spokesman Mike Tancred told Reuters. "We would view the Asian Winter Games as another opportunity to further develop our young skaters, Alpine and freestyle athletes." Craig Carracher, President of both the Oceania Zonal Volleyball Association and Volleyball Australia, was even more enthusiastic about the idea, which he claimed could dramatically help improve the sport in the area. "We would encourage that outcome as a matter of priority," he told insidethegames. "Australia and New Zealand are also denied participation in the Pacific Games for volleyball and beach volleyball and continue to live in a volleyball no mans land. "The Australian Volleyroos also created Oceanic history winning through to the World Championships second round in Poland this month." Australia sent a team to the 2001 East Asian Games in Osaka and in 2006, Football Federation Australia left Oceania to join the Asian Football Confederation, a move that has helped trigger unprecedented success and interest in the game Down Under. Australia qualified for the 2010 and 2014 FIFA World Cups and will host the 2015 Asian Cup. The agreement to let Oceania nations compete at the Games in Ashgabat is due to be formally signed between Sheikh Ahmad and Fiji's Robin Mitchell, President of ONOC, in November, when the Association of National Olympic Committees (ANOC) meet in Bangkok. A spokeswoman for the New Zealand Olympic Committee said it was too early to speculate on the possibility of joining the Asian Games because the issue had still not been formally discussed. "It's something at this stage we haven't had formal notification of and it hasn't been presented to the Oceania National Olympic Committees yet," she told Reuters. "So it would need to go through that stage. "There is a meeting in November and if this has some legs it might be raised at that point." It has also emerged that representatives of the Association of National Olympic Committees of Africa have approached OCA about the possibility of being allowed to compete at the 2017 Asian Indoor and Martial Arts Games. "We have put it on hold for now," OCA secretary general Randhir Singh told The Hindustan Times during an interview here. "They will not compete in Ashgabat, but we will seriously consider them for future meets."